You probably know about summer incentive programs for books, but what about programs that encourage your kids to spend some time outdoors? REI's Family Adventure Program helps you embark on more outdoor family adventures. 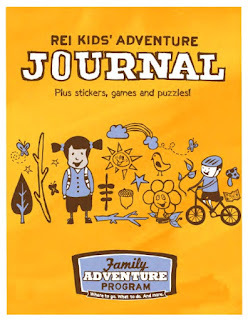 Kids can document their hikes, bike rides, and other outdoor activities in their Adventure Journal. Once your child finishes just one outdoor adventure, he/she can get an official certificate of completion by visiting Customer Service at any REI store. Chock-full of games and activities, it's where kids can log their outdoor fun. ◆ Find local family-friendly hiking and biking trails. Then get outside! ◆ Complete just one outdoor activity to earn a certificate of completion! ◆ Family Vacations - Introduce your family to the wonders of the world with family itineraries designed for kids and adults alike.